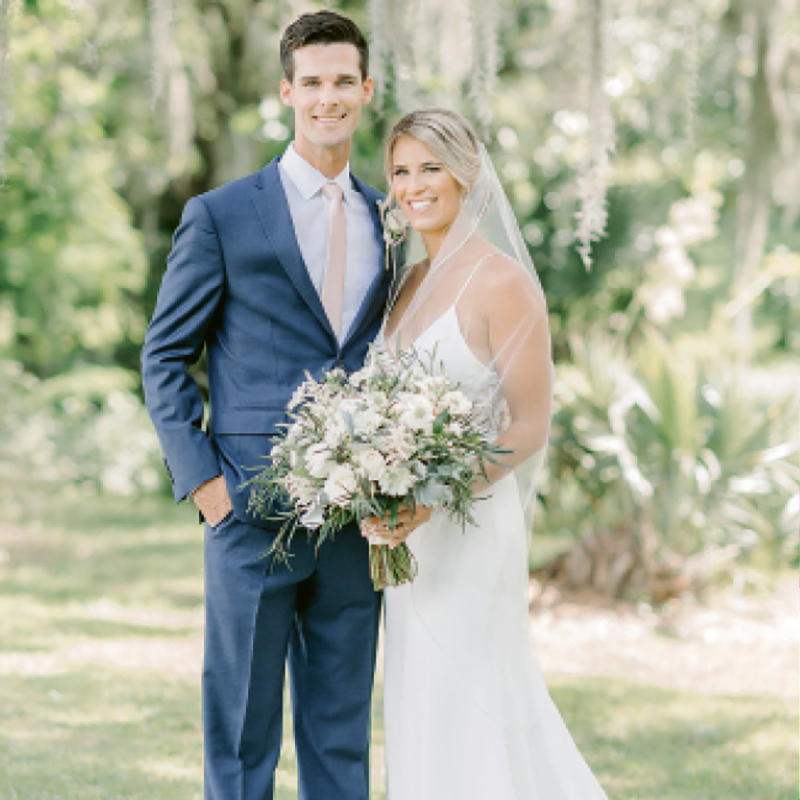 While she was in school at the College of Charleston and he at The Citadel, Lauren saw a video of Jeffrey on social media and knew she had to meet him. Mutual friends identified the intriguing stranger and set the two up on a blind date at a RiverDogs game. Four years later, Jeffrey surprised Lauren with a proposal in White Point Garden at Christmastime, followed by a carriage ride through the city. Their wedding took place at the Legare Waring House the following summer.